Belt Loops Attached for a nominal charge. 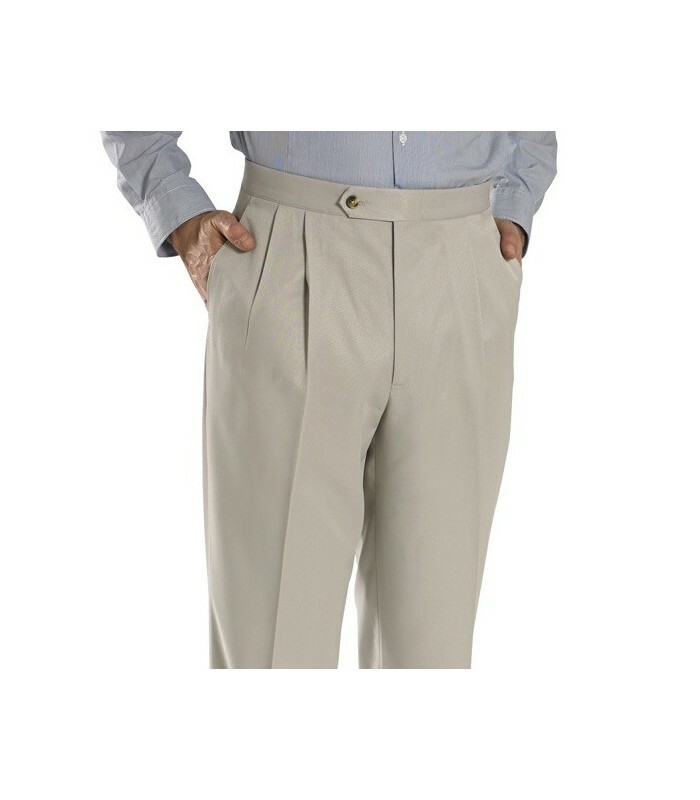 These durable, reverse pleat, side pocket, slacks resemble the '2043' gab twills from years ago. 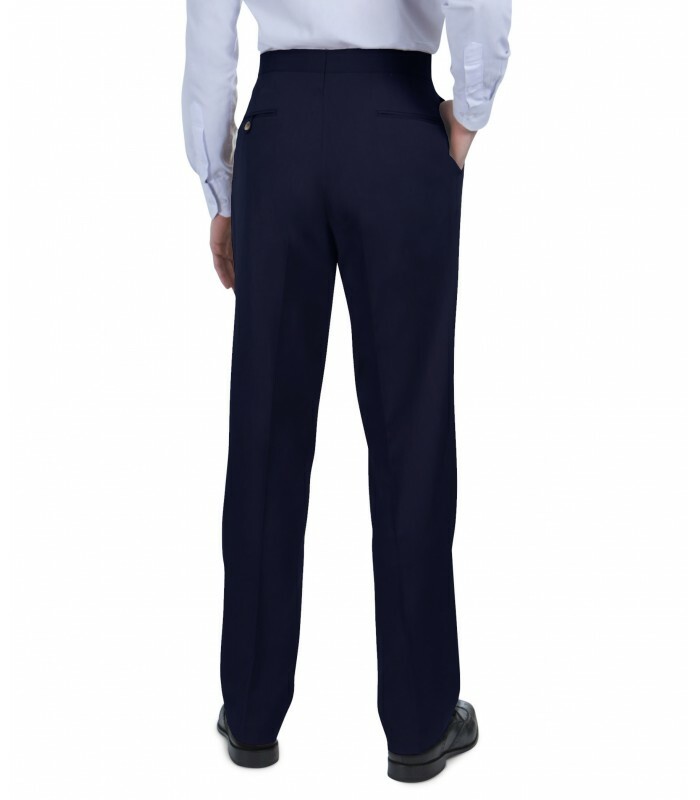 They are made with microfiber poly, so the pleats drape elegantly, the pants are breathable and the fabric feels smooth against the skin. These new gab twills feature moisture wicking technology and is coated with SCOTCHGARD stain repellent so spills are no hassle. We like the light tan with a navy blazer for an upscale casual look. Roomy, straight leg fit. You are out of my size in this style. 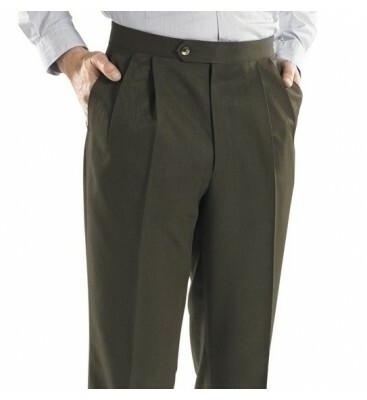 I bought the grant which were fine but I like a pleated pant. Hope to see more soon. So sorry for the disappointment. We are expecting a new shipment of gab twill but with spandex in late February. We will have this new fabric in the pleated and flat front style in four colors. Please get on our Out of Stock list so you can get a coupon and be the first to know when they come in. These hold up over time. Good, solid pant. 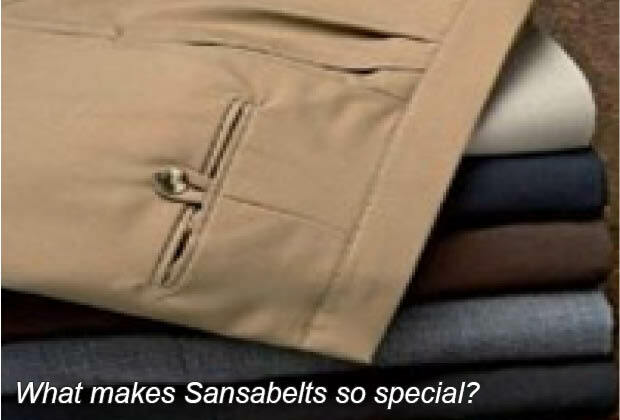 Love the Sansabelt waistband. with iron to get the pleats sharp. I do not know if it is your system or my computer, but every time I request an order your system says it is not in stock. So sorry for the frustration. 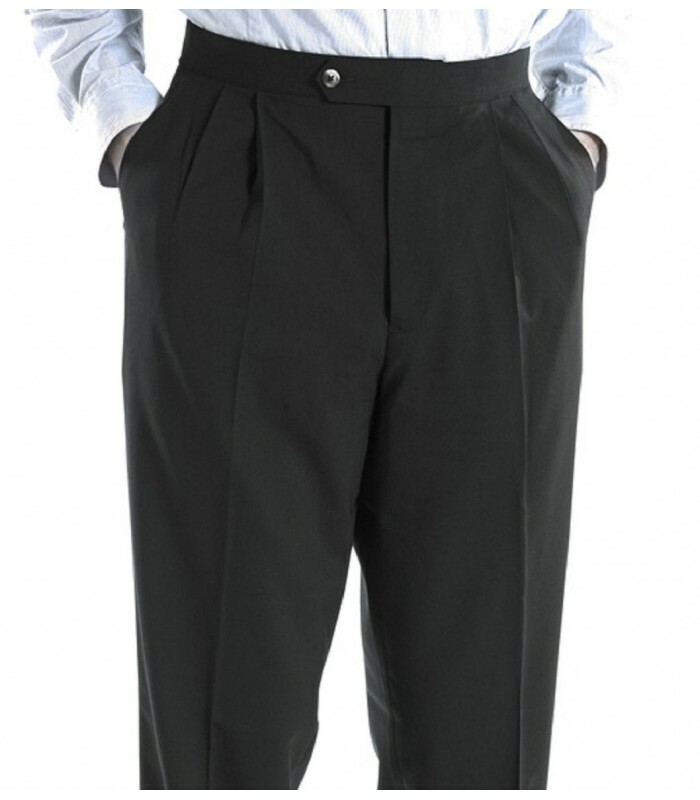 We were out of stock in our highly popular Sharkskin in sizes 40-44 for quite a while but have replenished inventory in the black and navy and expect the other colors in a month. As for the other fabrics, some of the more popular sizes are indeed out of stock in some styles, but since we are looking to create new fabrics, those will not be replenished. 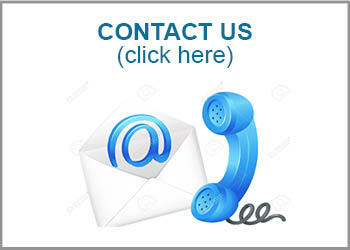 Please give us a call at 1-844-475-2257 and our rep, Dawn, will be happy to help you find something. 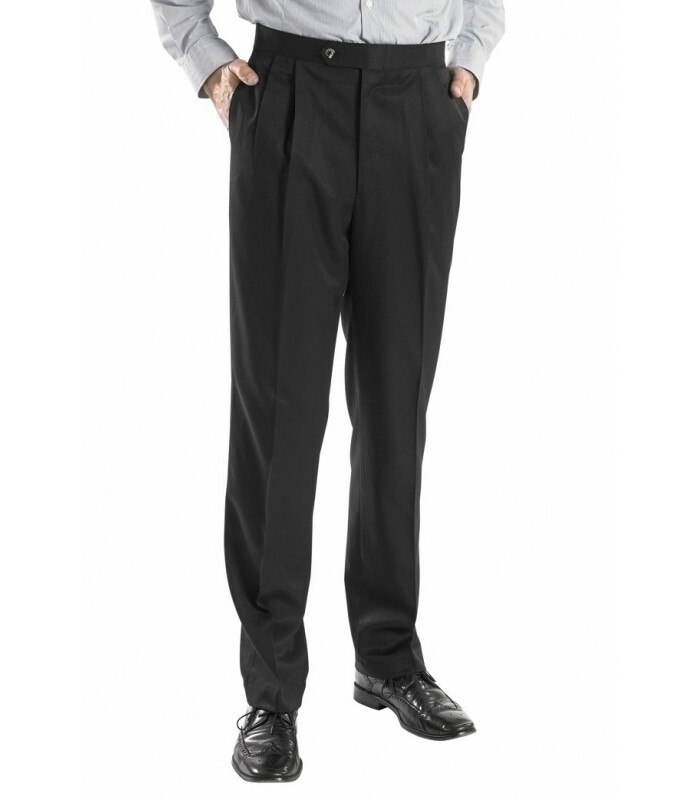 These pleats are flat on the body--they don't bunch up which I like, and the color is a real black. I have some pants that look purple in the lite. THese are coal black. My husband LOVES LOVES LOVES these pants. He really looks nice in them, too. But even if he didn't, I'd still buy them cause they are very easy to toss in the wash and lightly iron. Took two pair of your gab twill cut down to our annual convention. 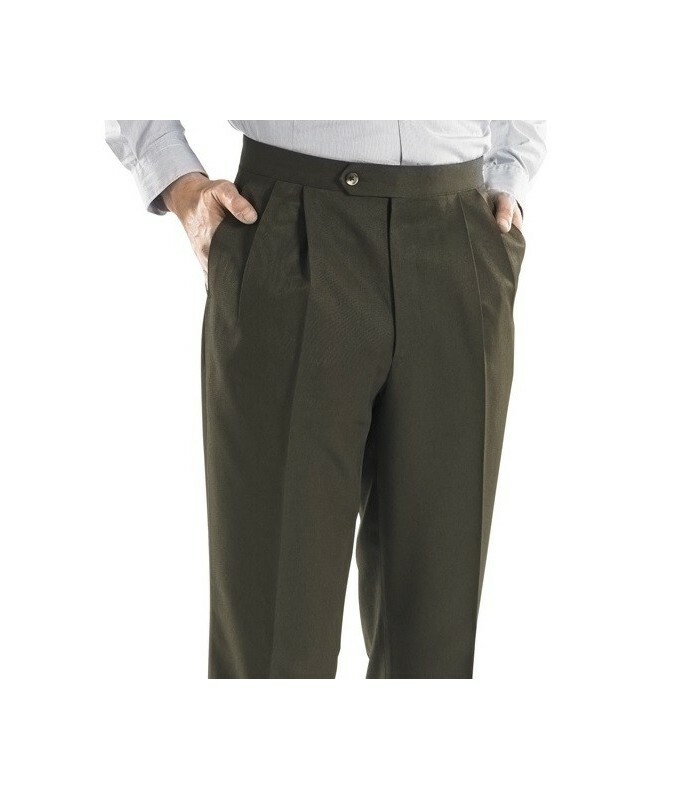 I ended up throwing our the other slacks I had packed because yours were so much more comfortable! I give the pants a rating of 1 only because regular rise won't fit. Hi...We do not offer long rise because there is only 1/2 inch difference between the regular rise we offer and the long rise from the past. It would also mean keeping 100,000 pants in inventory. 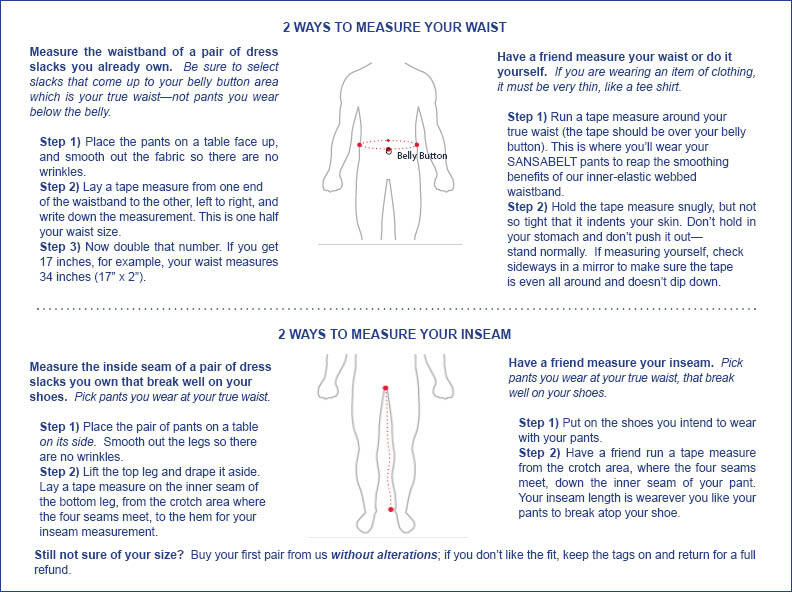 Most men find our regular rise is more than suitable, so may I suggest you try a pair unhemmed (we run sales often, so get on our sales alert mailing list) and you can always return them if they don't fit. 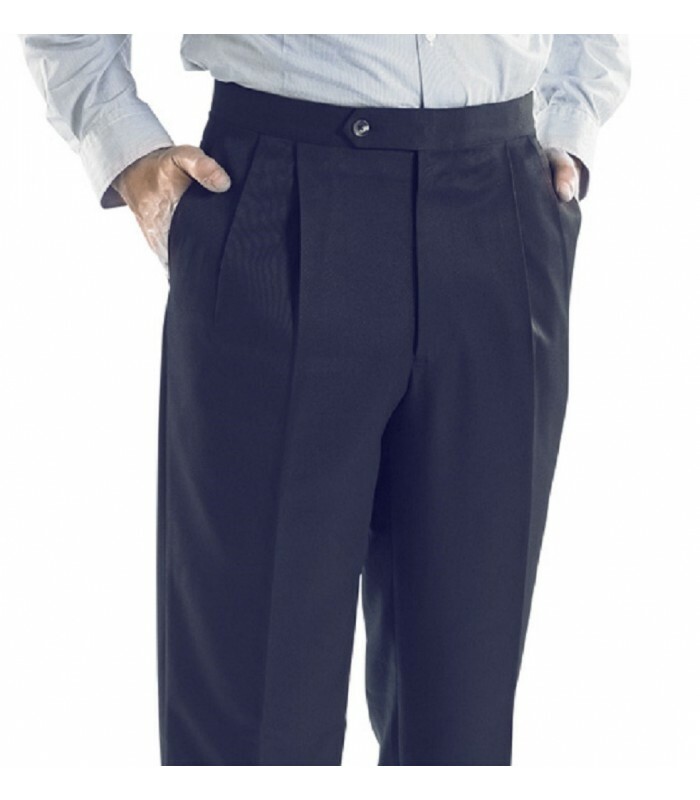 I have your name on this message so I will refund you whatever it costs you to ship them back to prove how accommodating our slacks are to former long-rise wearers.